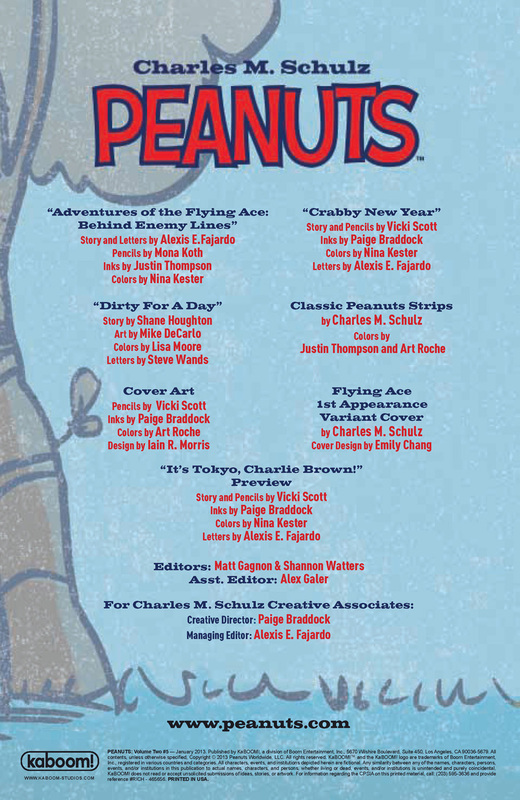 Hot off the press release wire from Papercutz! 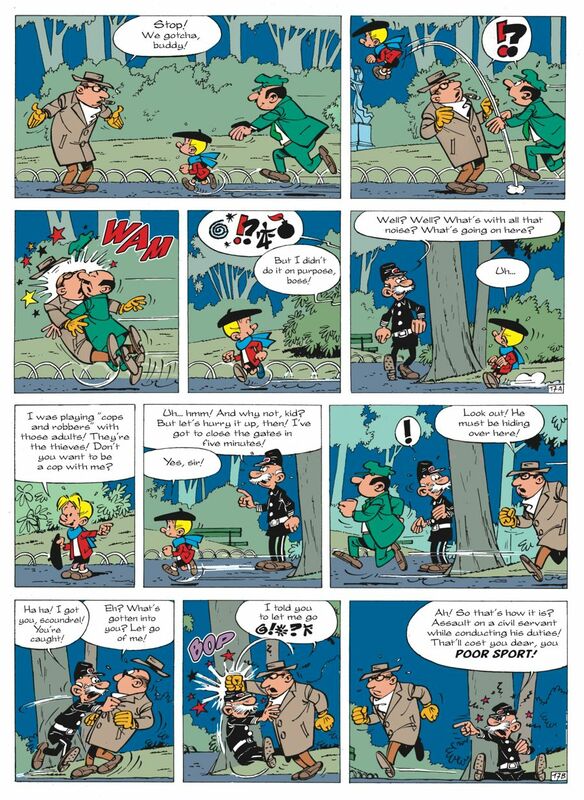 This summer, fans of Peyo, the master cartoonist best known for his beloved Smurfs comics, have a whole lot to celebrate. 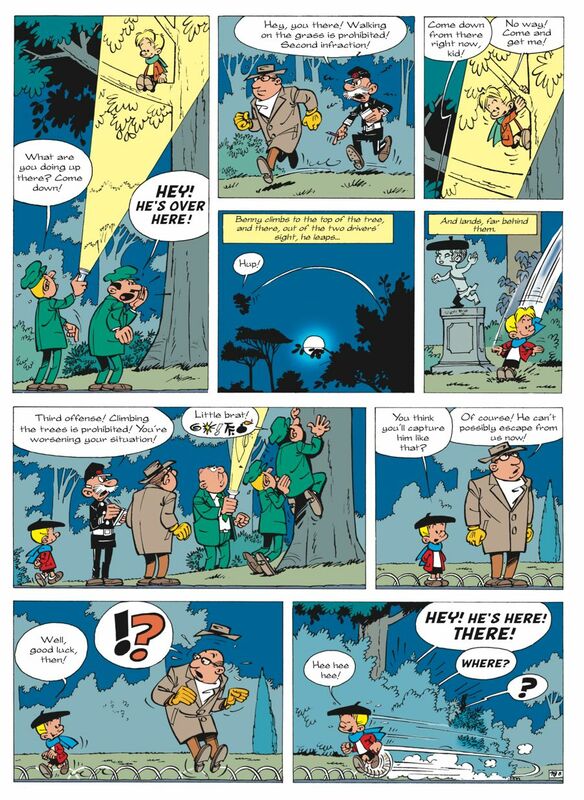 The hotly anticipated sequel to the smash hit Smurfs feature film is set to release in July, and we here at Papercutz are bringing out two new Peyo series to liven up those bookshelves! 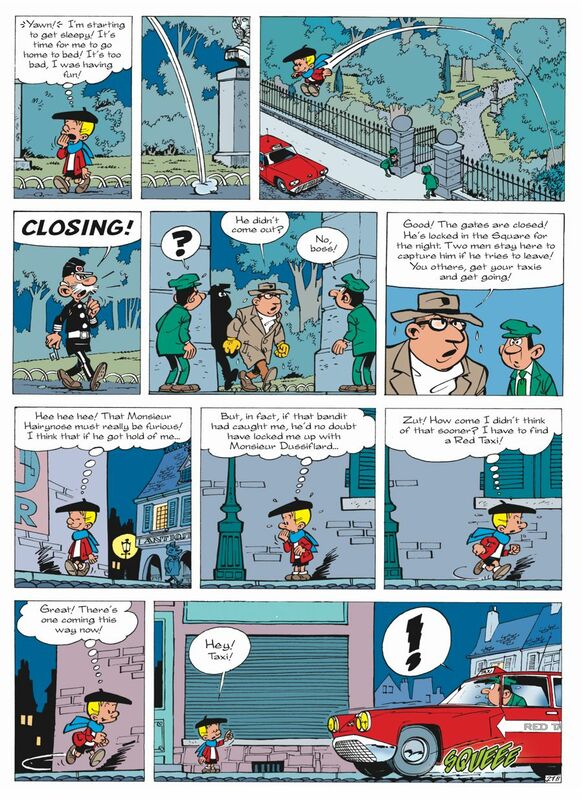 First out of the gate will be the long-awaited U.S. debut of Benny Breakiron, Peyo’s long-running comics series about a charming, goodhearted, super-powered grade-schooler. 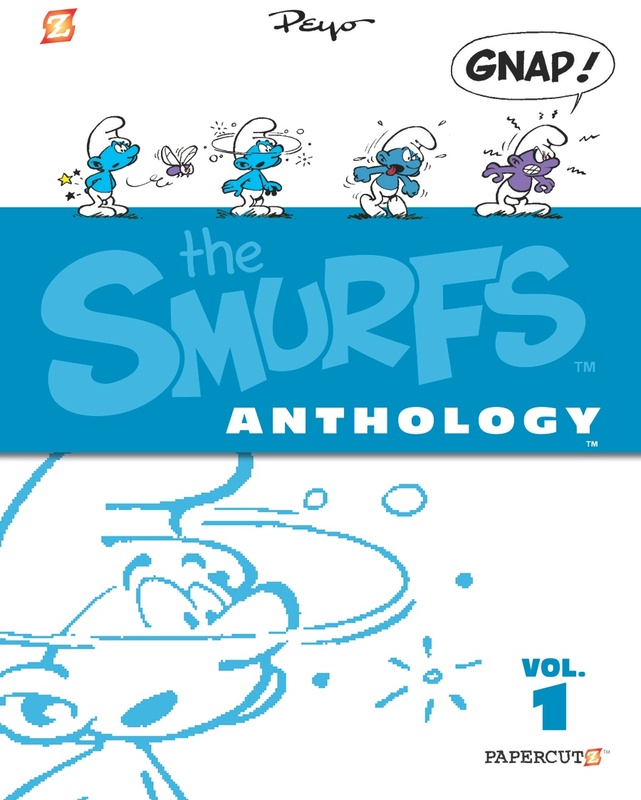 Next up is The Smurfs Anthology, an oversized archival hardcover series repackaging the Smurfs comics for collectors with never-before-seen stories, essays, and behind-the-scenes photos. 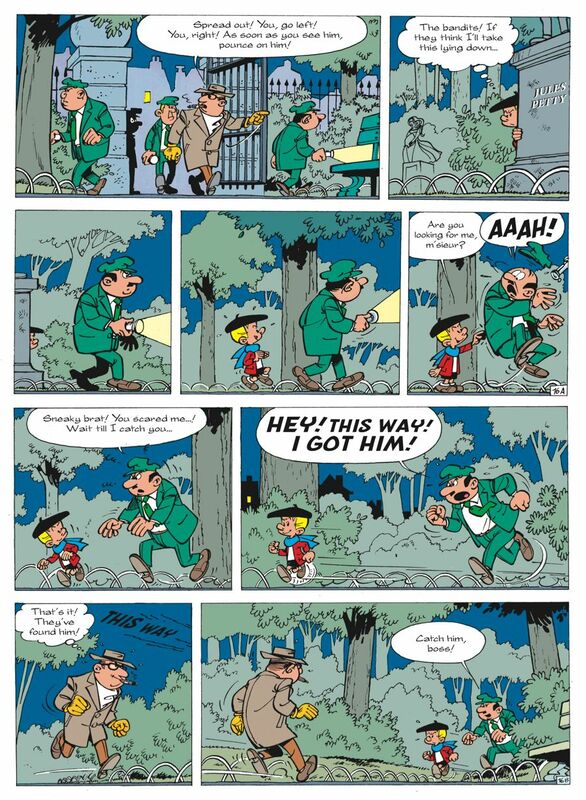 It’s definitely Christmas in July for anyone who appreciates a finely crafted comics adventure the way they used to be! 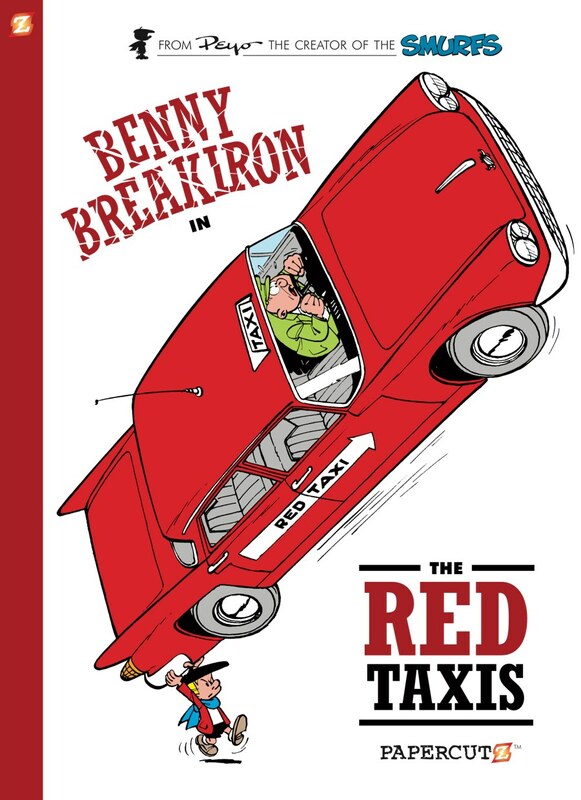 More details in the official release attached, and we hope you enjoy the Benny Breakiron preview, as well. 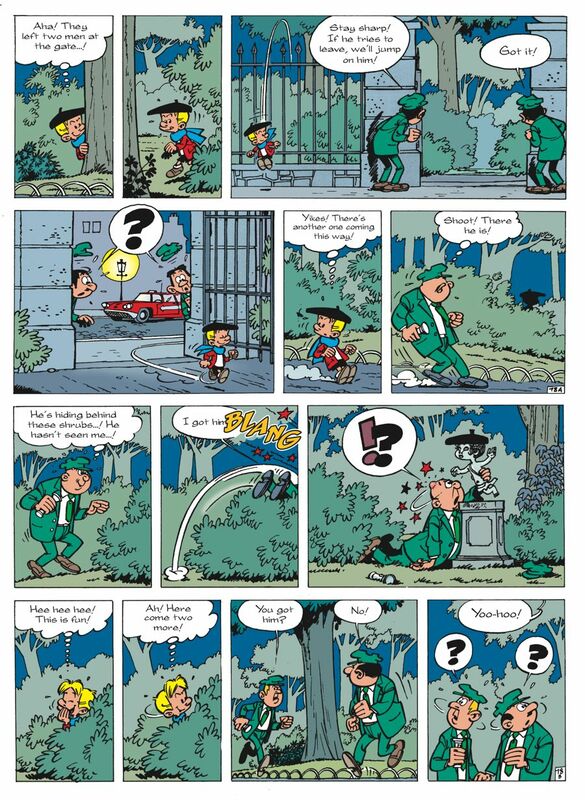 the cartoonist known as Peyo, and his little blue woodland creatures called The Smurfs were born. never before seen in the U.S.
Culliford, business director of Lafig Belgium and Culliford’s daughter. 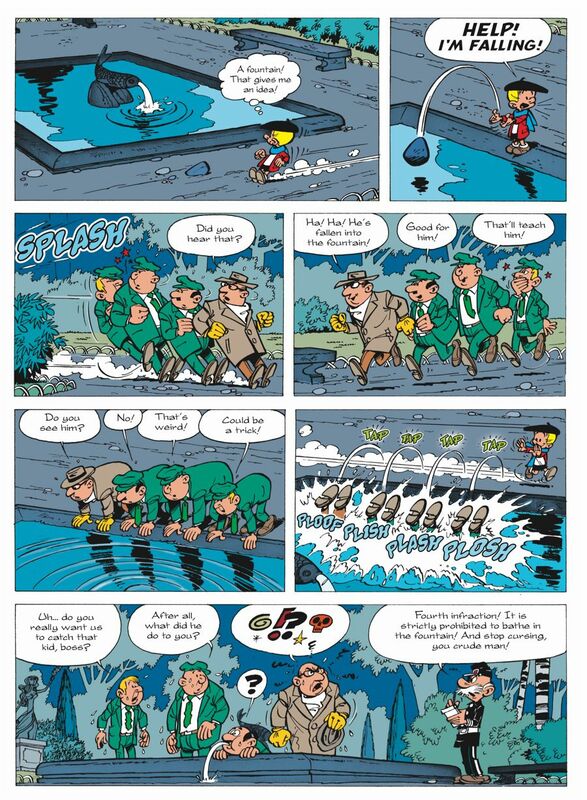 been published in the original Papercutz SMURFS graphic novel series. 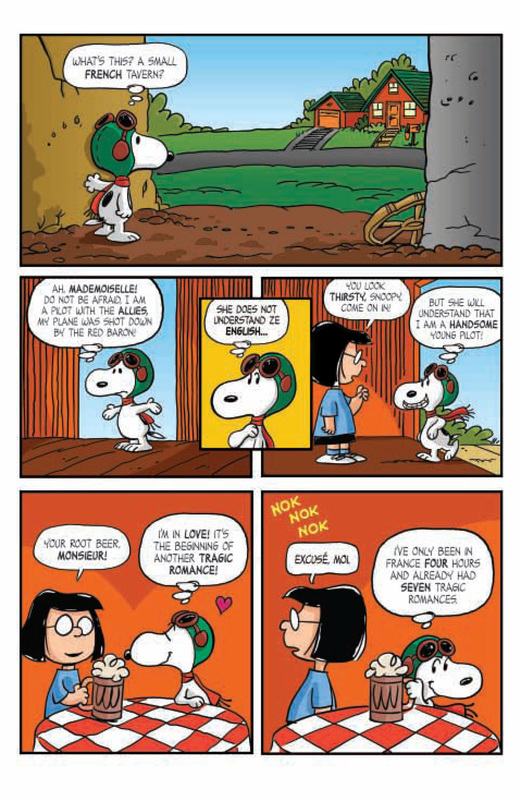 Hardcover ISBN: 9781597074278 / $10.99 | August 6, 2013). NANCY DREW, and many more. 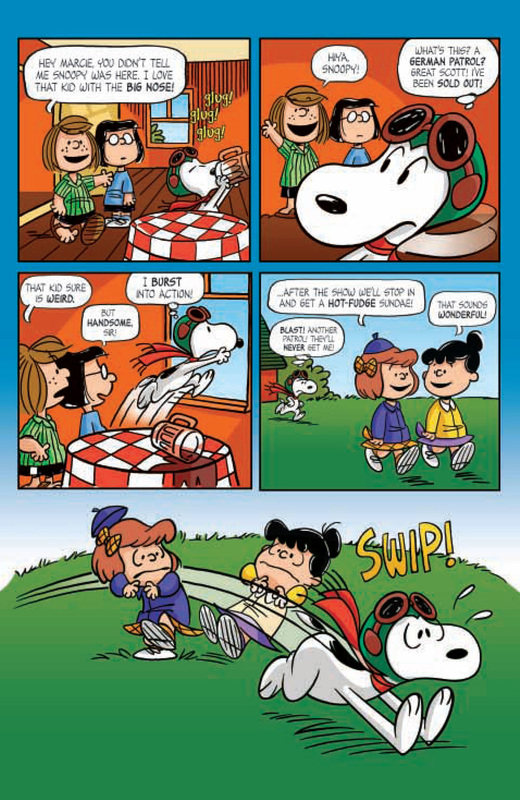 Papercutz is proud to be the largest publisher exclusively dedicated to children’s graphic novels, with books available at all major retailers, bookstores, comic book stores, and digitally on comiXology.com. controlled the Smurfs characters and all licenses worldwide. 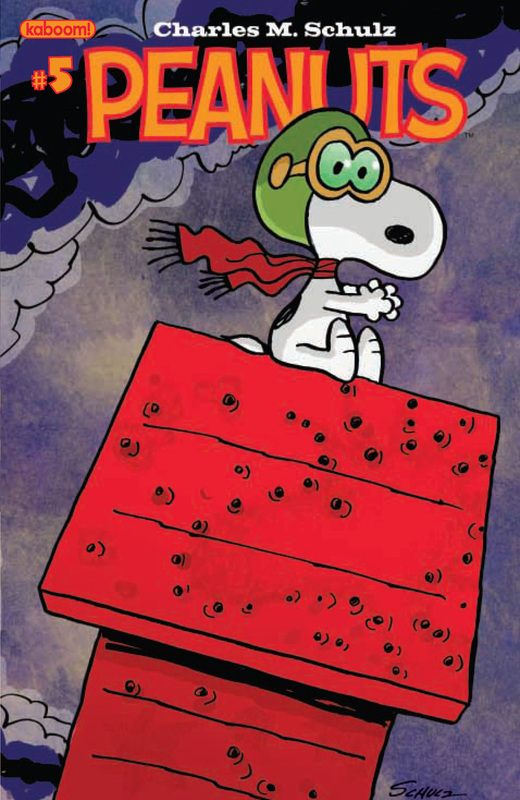 January 28, 2013 – Los Angeles, CA – This April, KaBOOM! Studios, an imprint of BOOM! 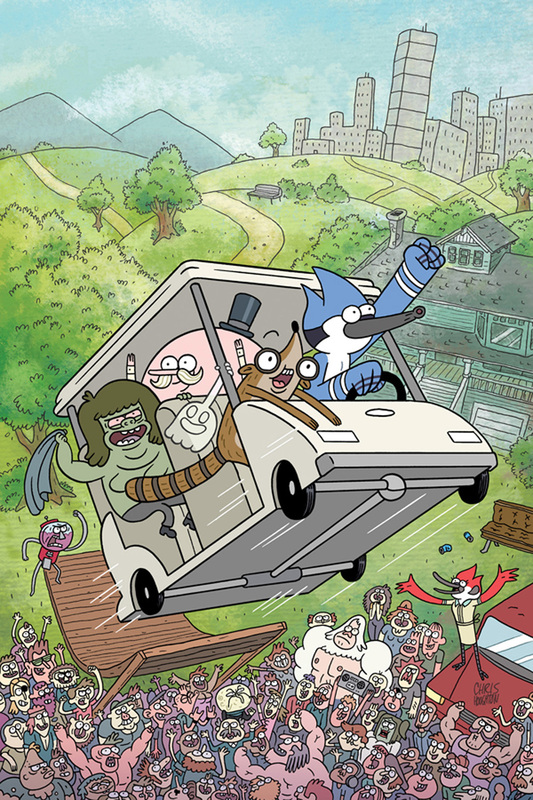 Studios, launches REGULAR SHOW, an all-new, all-ages ongoing comic book series based on the smash hit Cartoon Network animated series created by J.G. Quintel. 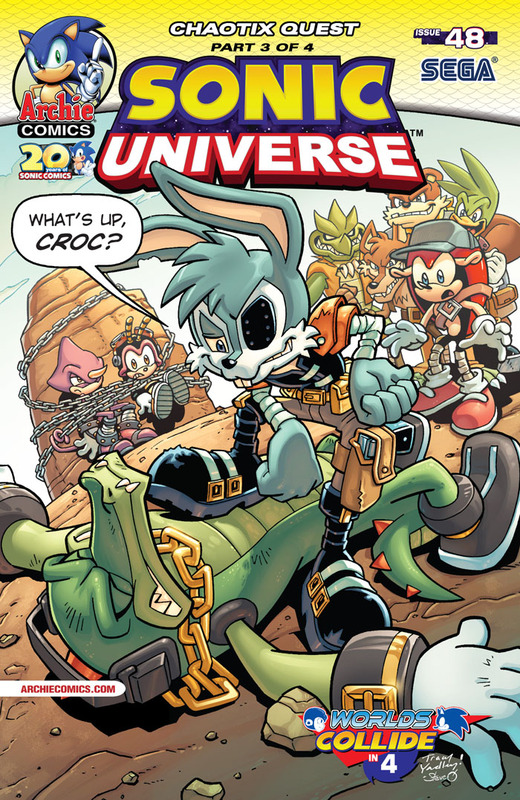 The highly anticipated series will be written by web cartoonist K.C. 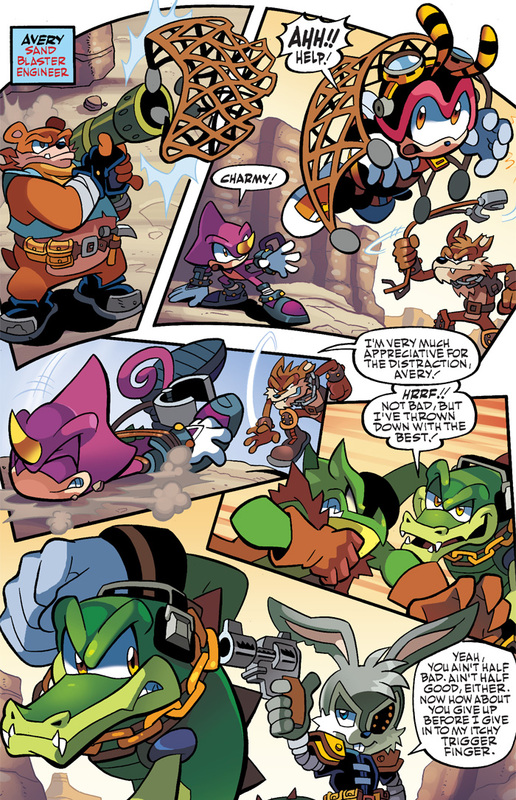 Green (GUNSHOW) and illustrated by newcomer Allison Strejlau. Join Mordecai, a blue jay and Rigby, a raccoon, a couple of best bros in their twenties just tryin’ to chill for a bit, man. But when you’re livin’ in as crazy a world as they are, no day can be called…regular! REGULAR SHOW #1 ships in April with main covers by Nick Edwards (ADVENTURE TIME), Nathan Fox (X-MEN: SECOND COMING), Phil McAndrew (ADVENTURE TIME, BRAVEST WARRIORS), John Allison (ADVENTURE TIME: MARCELINE AND THE SCREAM QUEENS), Noelle Stevenson (ADVENTURE TIME: FIONNA & CAKE) and Chuck BB (CTHULHU TALES, BCBG). Ask your retailer about the pre-order variant by Chris Houghton (ADVENTURE TIME, REED GUNTHER) and the incentive variant by Dustin Nguyen (BATMAN, L’IL GOTHAM)! 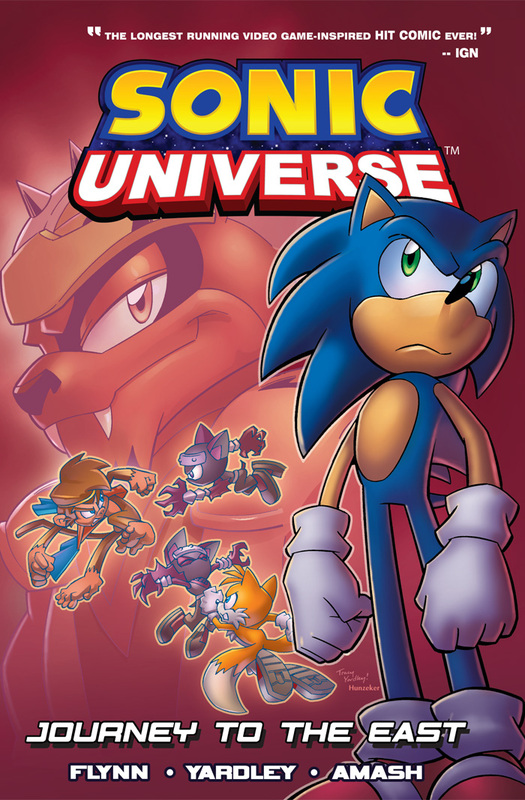 Additionally, a commemorative boxed set of all six main covers will be available for collectors. 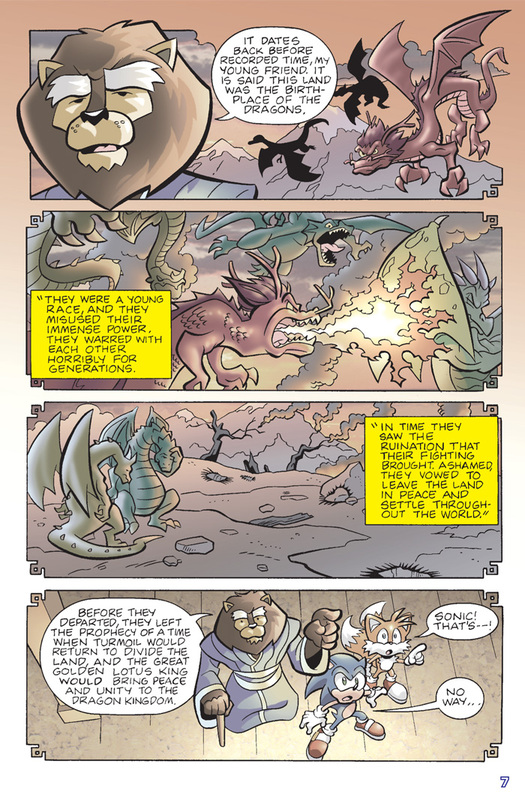 REGULAR SHOW #1 is a 32 page, full color issue that retails for $3.99 and is available for order under Diamond Code FEB130826-28. The REGULAR SHOW #1 COMPLETE COVER BOX SET contains REGULAR SHOW #1 Covers A-F in a shrink-wrapped commemorative slipcase that retails for $24.99 and is available for order under Diamond Code FEB130829. Posted by hatlentore in Review. Mandy doesn’t really express her emotions outwardly, she keeps it all inside. When her older sister leaves for college, she give Mandy a sketchbook and tells her to express her self in drawing. So Mandy does that and her book fills with different monsters. 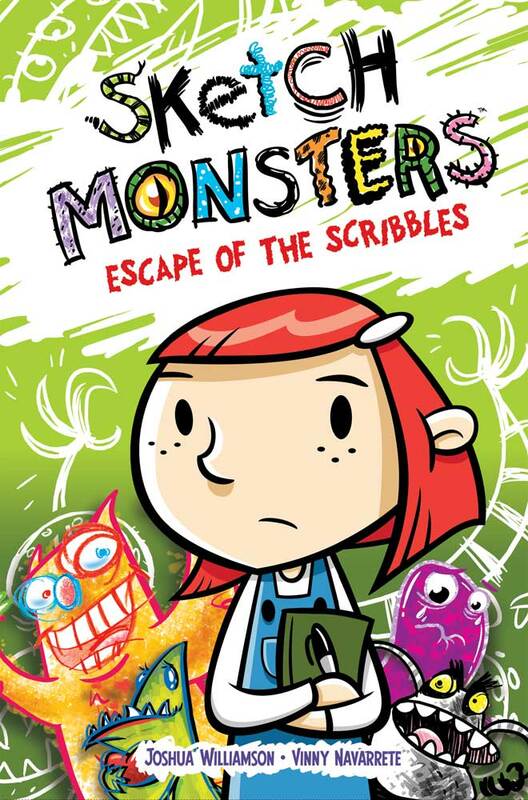 One night the monsters escape and Mandy must discover the emotions the monsters represent, within herself. 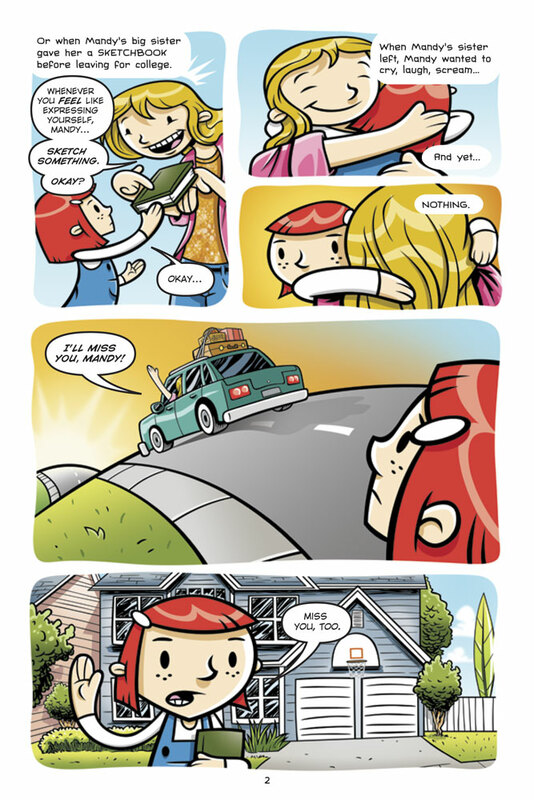 Happster helps her along the way to discover those emotions and learn to express them instead of bottling them up inside. Love, being scared, and being mean are all monsters Mandy must catch. 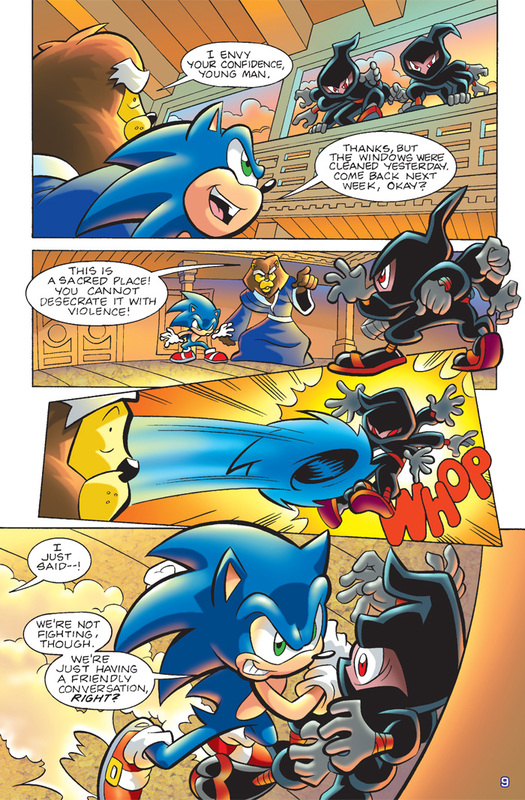 The story was well told and paced. It shows that emotions should be expressed instead of kept inside. Kids will find the story entertaining and I think some might even find it helpful to express themselves. If not outwardly, at least in sketch. The first thing I noticed about this book is the colourful cover. The illustrations inside are equally bright and imaginative. Mandy’s monsters are expressive and suit the emotions and feelings they represent. 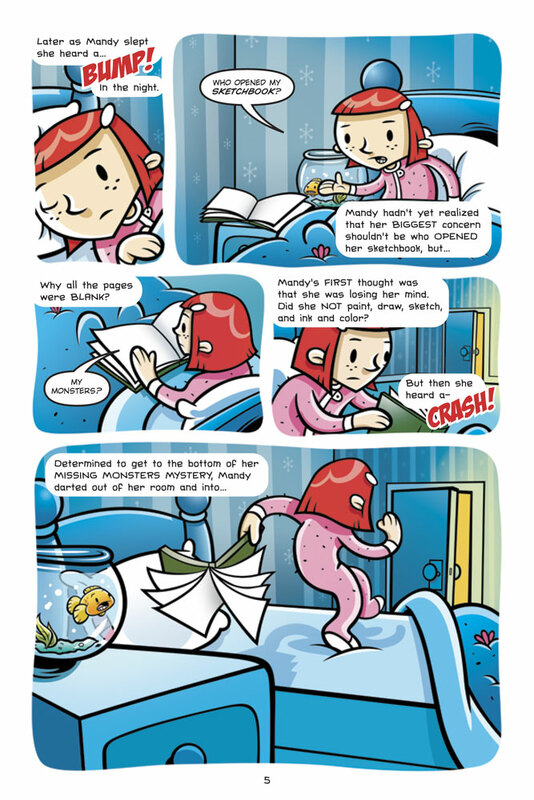 Is it right for kids: I think this is a great book for kids. 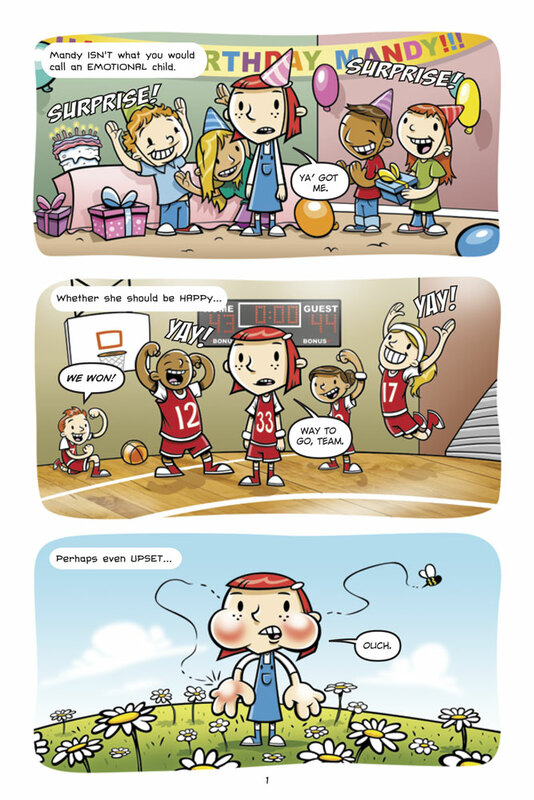 Older kids will understand (hopefully) the meaning of the story and learn a little about expressing themselves. 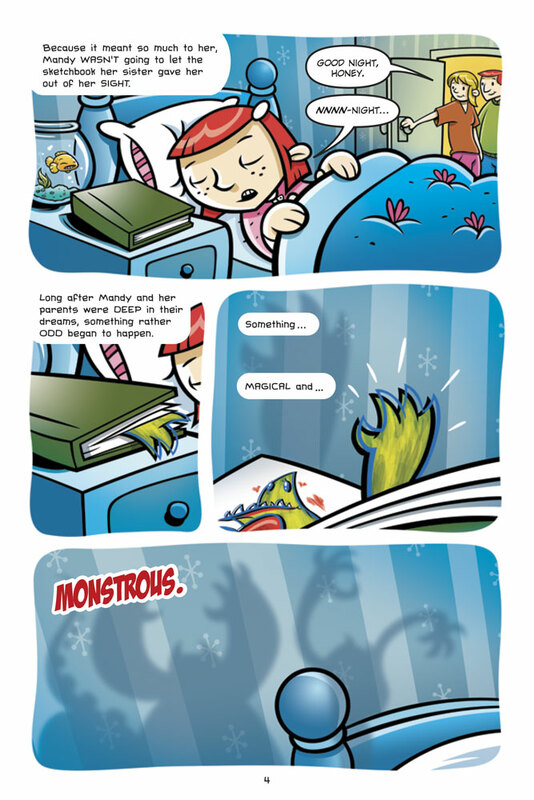 Younger kids will enjoy the story for the monsters and Mandy’s attempts to capture them. 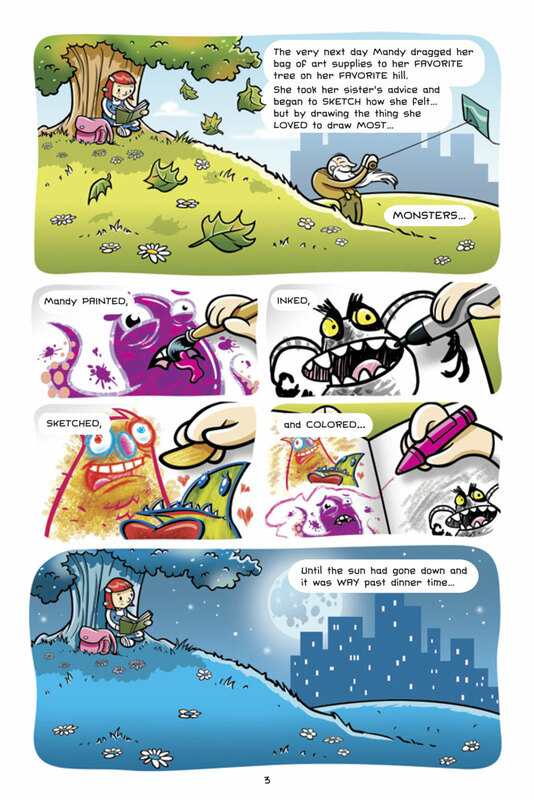 Sketch Monsters Vol 2 will be out this spring. Keep a watch for it. 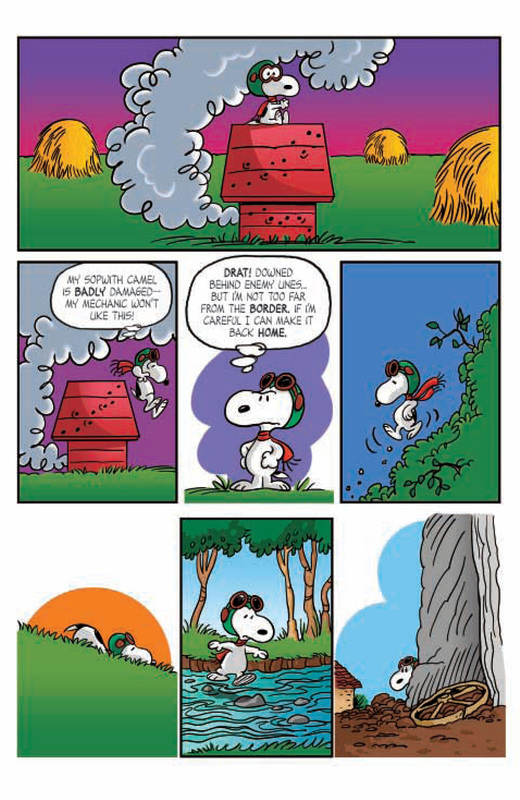 Peanuts is back for the new year with Snoopy’s most beloved personality taking center stage…The Flying Ace! 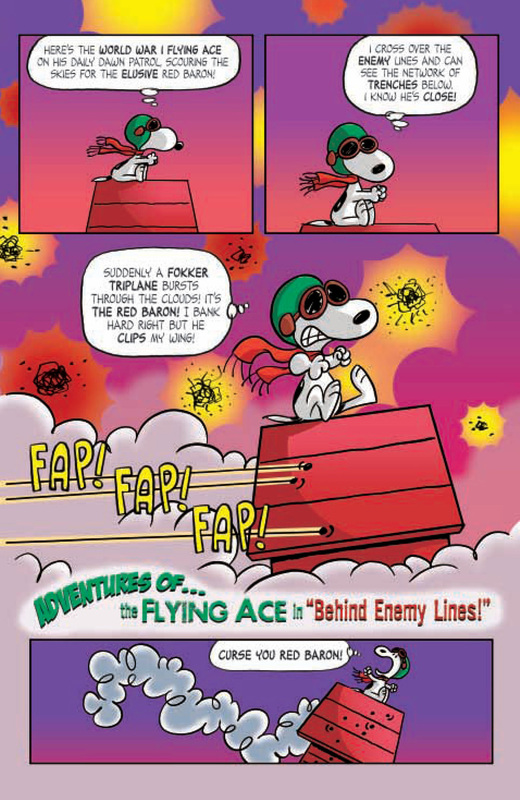 Will his Sopwith Camel hold up against the Red Baron long enough for Snoopy to make it back to the café for a cold, tall root beer? 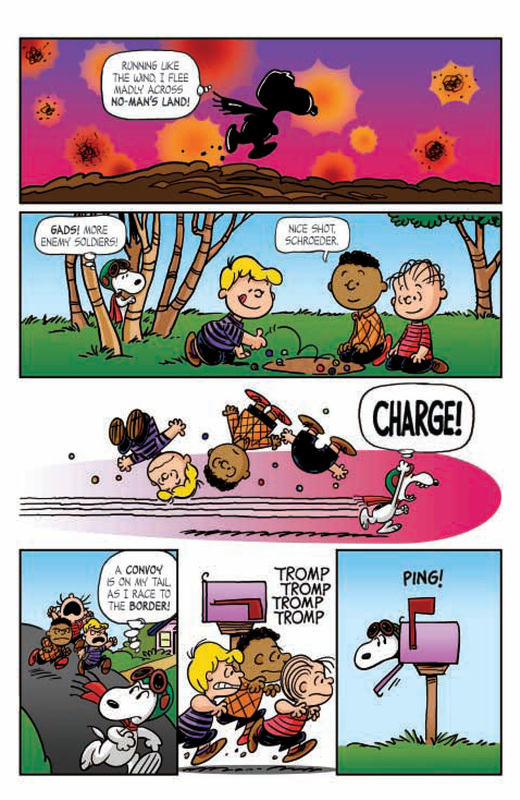 Charles Schulz’s beloved creations keep going strong with all-new stories mixed in with Schulz original Sunday strips. “Journey to the East”: When the going gets tough, the tough get going! 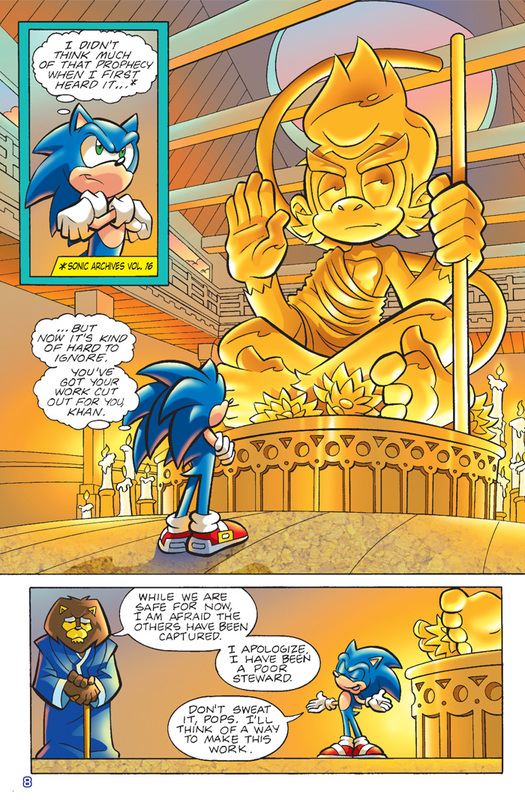 Sonic leads Tails, Sally and Monkey Khan to the other side of Mobius to the beautiful and mysterious Dragon Kingdom! 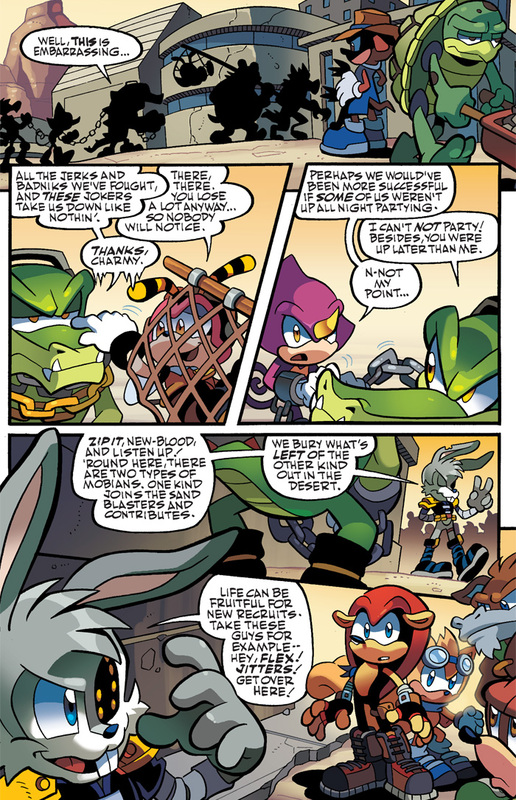 Four ninja clans have sworn fealty to the Iron Queen and her Iron Dominion, and it’s up to Sonic to get them to break away! 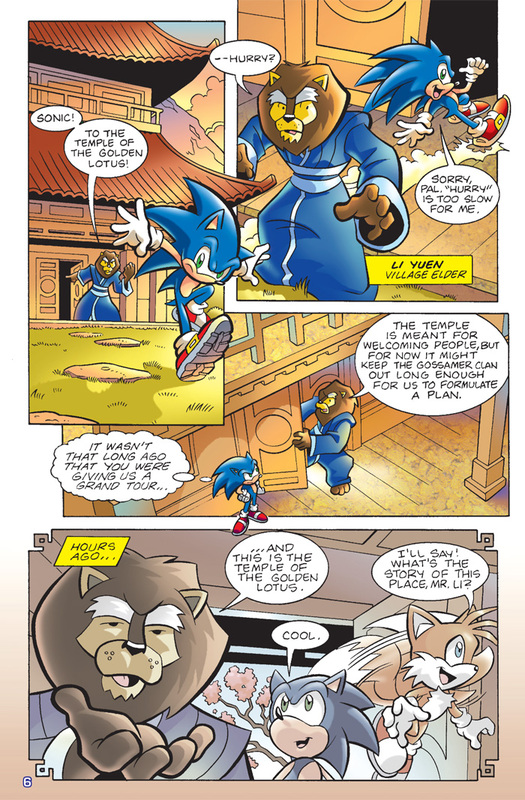 New and old faces abound in this world-spanning foreign adventure! 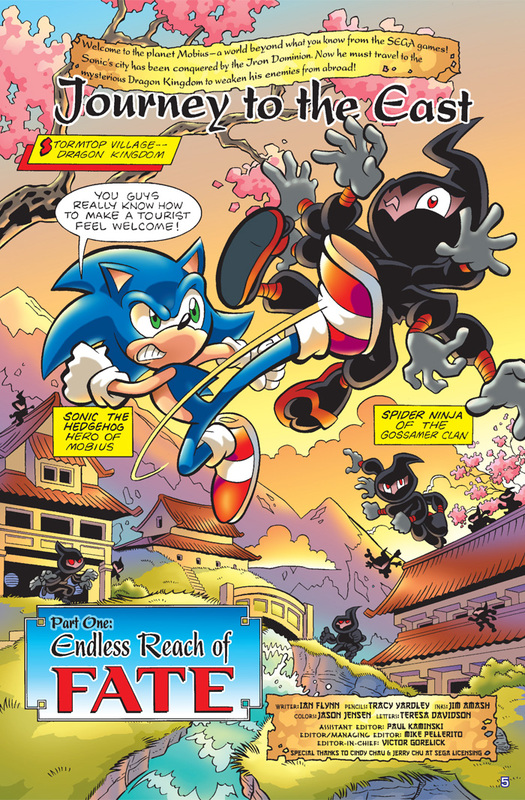 Collects the entire “Journey to the East” storyline from Sonic Universe #13-16 plus exclusive special features! 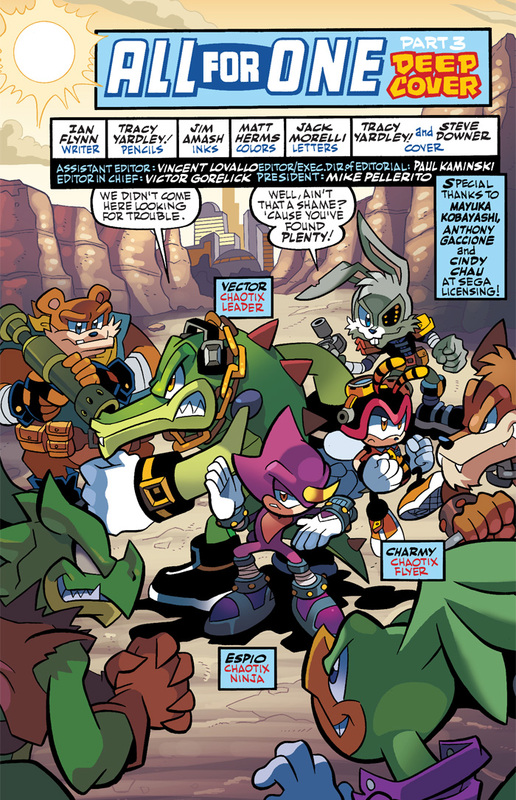 “All For One” Part Three: The Chaotix travel the world in search of Mighty and Ray! The trail leads them to Sand Blast City and into the clutches of the nefarious Sand Blasters. The case takes a turn for the secretive as lies are spun and plans are hatched. 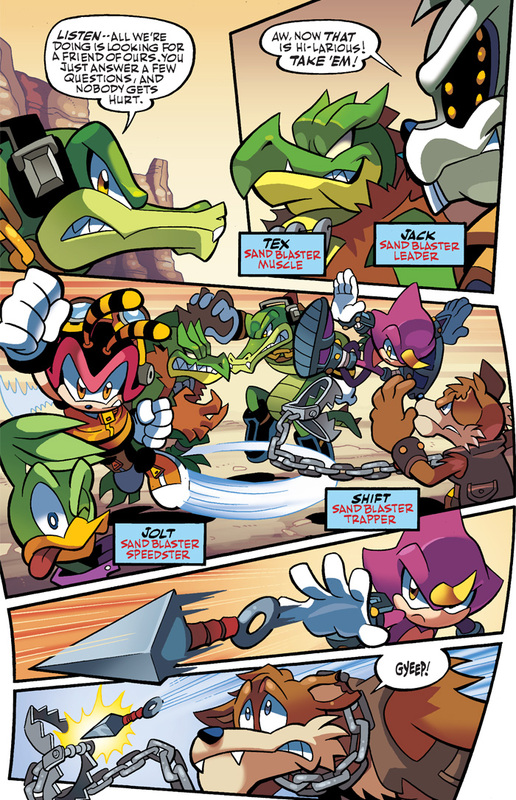 And Mighty makes an all-or-nothing decision!